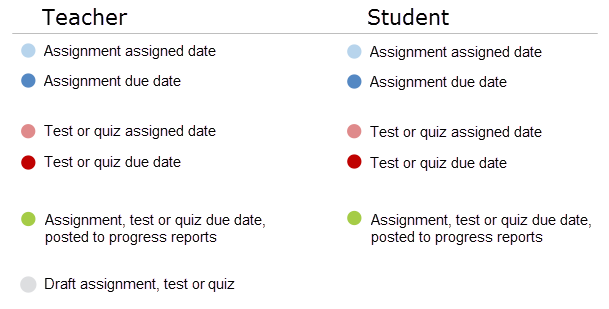 All course units, lessons, assignments, and events are displayed on the classroom calendar. 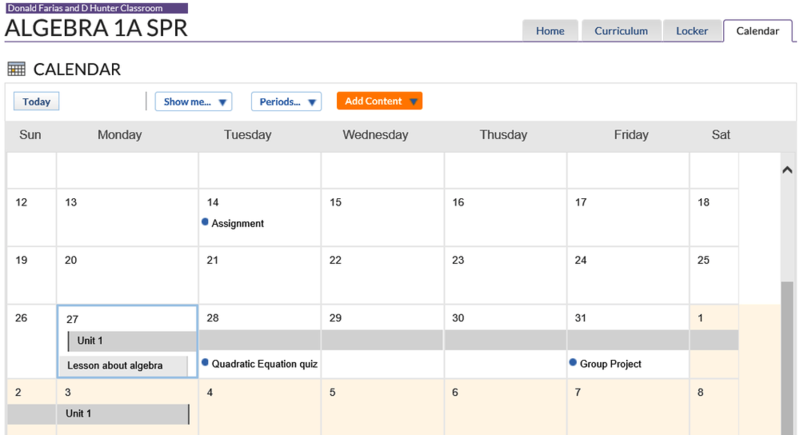 This article serves as a guide in adding content to the Classroom Calendar. To go to the calendar, using one of the options presented below. Navigate to the Classrooms tab on the top-right side of the page and select the class. 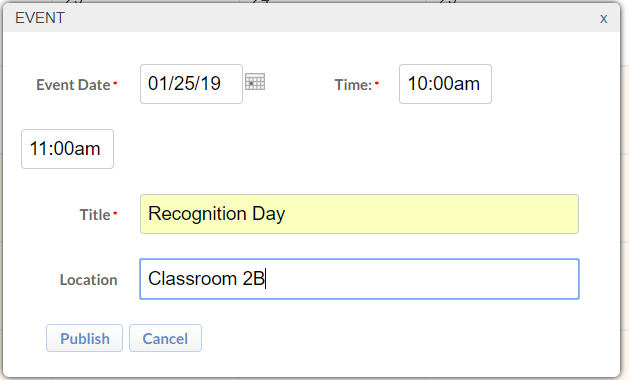 Alternately, you can also click on the Calendar link on the right side of the classroom under the Course Management section. Click the Add Content button at the top of the Calendar page. You can also click in any cell to quick-add content for a particular date. To quick-add content, hover over the desired date. Click the plus (+) sign, then select the type of content you wish to add. 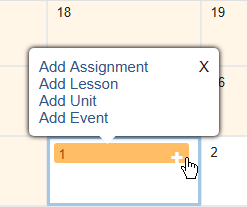 Add new units, lessons, assignments or events. Fill out the required information and click Publish. The added event is displayed in the corresponding date cell.